New Year Resolutions: Whether you’re a fan of them or not, when it comes to improving work life balance it can be useful to start the year by making some pledges to yourself before you fall into the same old habits. Here are some work life balance resolutions for 2018 you can start applying immediately. Start the year by adding holidays and breaks to your calendar. Rather than booking in holidays and days away around your work schedule as you go through the year, plan further ahead and ensure that you take time off more regularly. Even if you have to change the days slightly as time goes on, what you have written down will push you to book that city weekend or day out with the family you’ve been promising yourself since the beginning of 2017. The quality of your leisure time is just as important as the quality and productivity of your working hours. If you wouldn’t idle away your work day on social media, why waste vital leisure time constantly checking inboxes and reading documents that can wait until you are back in the office? Failure to switch off properly has a very real impact on your productivity overall, so take both work and leisure time equally seriously. Start thinking about just how much rest and enjoyment can be achieved in the free hours that you have. This mindset will help to allay any guilt over wasted time – knowing you’ve spent every minute helping yourself to rejuvenate and spend quality time with others will remind you that you deserve your downtime and that it should be protected. Yes it’s tempting to try to get ahead on your journey to work, but how productive are you really while sitting on the Tube? Travel time shouldn’t be lumped in with work time. Your commute is an opportunity to clear your head and prepare mentally for the work ahead, and to wind down after the day is done. Make a pledge to resist the temptation of the inbox and use the time to practice mindfulness, with these tips for commuting. Or why not take the time to listen to a podcast, such as one of our favourite legal podcasts from 2017, or read a book to stimulate your imaginative, creative side. If you don’t have to travel very far, or at all for work, make sure you still allow yourself time either side of your work hours to unwind, even if it means getting up a bit earlier it can make all the difference. #3 Put Work Related Notifications to Sleep For Good! Take the time to go through your devices and set them so email/chat notifications don’t interrupt your down time. Most smartphones can put notifications to sleep for a time period of your choosing, and messages marked urgent can override this if you are worried about missing anything important. You even could take it further and do away with notifications altogether. Let’s face it: when we are working we tend to check necessary communication channels through habit anyway; removing the constant ping-ping of devices around us would eliminate a creeping modern day stress point. In the quest to better ourselves, we can get so caught up spending time taking part in activities because we feel we should, or because we’ve already committed to it, rather than asking if it is really providing value in our lives. Take an honest look at your regular activities: if there is a feeling of dread when the time for something rolls around, or you’re only really doing it to avoid disappointing someone else, it might be time to reassess. Let go of time consuming activities that have run their course or that you are doing for the wrong reasons, and start investing that time in things you’ve always wanted to do but have been too busy for. While assessing your work life balance and what isn’t working in your life, you may come to the conclusion that your overall work schedule is the aspect that needs to change. This can seem a process too overwhelming to even contemplate at the beginning of a new year, but you don’t have to abandon your ambitions or sacrifice your career to make big changes in your work life. Why not check out some of the stories from our consultants who have taken a similar leap, and see what could be possible for you in 2018. What resolutions have you made to improve the quality of your working life? Check out our previous articles on work life balance for more tips on setting boundaries and making work work for you in 2018 and beyond. I have been finding it difficult to switch off from work on days off in recent times, particularly due to a demanding client I currently work with. It’s taking its toll on my health and I really want to have some proper downtime with my family this Christmas. How can I make sure work won’t creep in during my break? All of us who feel passionately about our work can find it difficult to switch off during days off. We constantly think about solutions or new ideas, and that often inevitably leads to: “I’ll just note that down”, or “I’ll send that email now so I don’t forget” and before we know it we’ve lost a couple of hours doing research and notes and checking inboxes. It is incredibly important to make sure you take a proper break from work, particularly if you work remotely where the lines between work and the home can become all too easily blurred. There are very real consequences of burnout and an increase in sick days taken, as well as an increase in malaise and dissatisfaction with work that you never feel you have distance from. It is up to you to use your extended holiday wisely and come back refreshed and ready to get stuck in again. It can be even more difficult to take that one eye off the email for an extended time when you are facing pressure from a particularly difficult client or colleague. As long as you have everything completed before the official holiday periods that you said you would, you are under no obligation to fulfil additional demands when you have confirmed holiday dates. If you feel you are being coerced or pressured to work over the festive season, it is time to push back. Your time is managed by you, you should be trusted to have completed what needs to be done and continue to do so after the break you are so entitled to. Be firm and politely reemphasise that your days off are as agreed and that you will not be available between those dates. Explain what you have completed and what will be picked up on your return, to reassure the client you are in full control of your workload and schedule. A big part of the switching off problem is our constantly connected culture. This Christmas, make it a priority to be strict with social media and technology. Switch off work laptops and computers and turn off email alerts on mobile devices. On social media, consider un-following any industry related pages temporarily to stop reminders of work and associated feelings of stress and guilt creeping up as a result. Read books and magazines rather than articles online to avoid getting distracted and sucked into a rabbit hole of information. It’s one thing to switch off from the screen, it’s another to switch off mentally and be fully present with family, relations and friends. One thing particularly hard is to not think about what is coming on the other side; watching the days count down to the return to the routine. Keep perspective and remember you are not the only one taking a break – the vast majority, or if not all of those you work alongside are too, so not much is happening without you! Spend the eve of the holiday writing a to do list for your first day back, so you know you have everything clear in your mind what you need to do from the moment that next working day comes around – then put it away and don’t look at it again until the eve of the return! If you are a natural planner and miss the routine, it may also help to make a series of plans for fun things to do. Even if the list consists of simple things like watching a particular movie on television together, mapping out what relaxing and fun activities you have in store will stop boredom creeping in and endangering your focus on family and friends. With all that said, sometimes spending time with relatives comes with challenges of its own, whether it is dealing with underlying conflicts or even just simple logistics of getting to see everyone. It is important to allow your own time for relaxation. Remember not to put too much pressure on yourself to ‘please’ and feel you are responsible for everyone’s happiness. Don’t let visits become your sole responsibility either: if you’re finding it difficult to visit everyone, request they come to you or arrange a suitable half way point where you can all be waited on and escape the pressure of hosting for an afternoon. This is your holiday too and stress and obligation should not take over the joyful festivity of the season. Sit back, enjoy, let all the family do their part and share in the responsibilities – if you have children who are old enough give them tasks such as wrapping or laying tables, young people love to feel helpful and part of the preparations so you’re giving them more enjoyment too, while taking the pressure off your own shoulders. The Agony Aunt wishes you and all our readers a happy and healthy Christmas. I am an ex-city asset finance lawyer, happily living on the Sussex coast, wife to my childhood sweetheart and mum to Podge the house rabbit, an uber-intelligent autistic 8 year old son and my ballerina/vet/future prime minister 5 year old daughter. Why did you decide to go freelance and work for Obelisk? I have been with Obelisk for about two and a half years. I moved into freelance work because combining family life and my city work pattern was becoming impossible. After a short career break I felt that dipping a toe into freelance work through Obelisk might just work, and two and half years later it still is! What has working in this way enabled you to do differently? I work completely differently to conventional work patterns, working at any time during a 24-hour period and fully remotely. This means I can do the school run, help with homework, have a life and still commit to the number of hours of work a day my clients require. What roles have you had during this time? Through Obelisk I have been placed in 7 different roles, three of which are still on-going. I have worked for IT, media and telecoms companies and also for a large online retailer. My roles have included everything from large due diligence projects, holiday cover, ad hoc support and projects spanning several months. My work is incredibly varied, and my role for my clients varies from being their sole legal resource to being part of large team of in-house lawyers, to everything in between. Have you been able develop skills or extend your experience into other areas? My skills and experience are unrecognisable from those of the specialist city lawyer I used to be. I have learnt to research things I need the answer to, draft without precedents and understand business need quickly. My city-experience was 11 years of asset finance, but now I am also confident to review and advise on IT/media/telecoms and retail matters, which is an opportunity I would never have had in city private practice. As a result, I am a much more well-rounded lawyer. How has the legal services market changed over the course of your professional career? It is unrecognisable since I did my first city vacation placement in 1998. There was one career path then: you either moved up to the next PQE level, or you left. Equally for clients, they had very little choice in terms of the legal services available to them, having to pay for lawyers’ office overheads and services which were not necessarily tailored for their needs, or hire full time permanent in-house lawyers. Now there are so many paths available to lawyers, and clients have so many more flexible options for how to resource their legal needs. So many of us find that our ambitions and lives change during the course of our careers, it is fantastic to be able to provide a useful service despite lifestyle changes, and to be valued for what you can contribute, using your life experience as well as legal experience. Without access to flexible working, a large pool of knowledge and talent is going to waste. This is costing us greatly, stifling growth and impacting workplace wellbeing. For all the progress made in communication technology and digital working platforms, and for all the conversations on work life balance and the importance of workplace wellbeing, it seems society is still attached to a culture of long office hours and presenteeism. Women’s careers continue to stall due to a lack of options for flexible working, so say the findings of recent in depth studies into flexible working and the progression of women in the corporate workplace. A report compiled by Digital Mums in association with Centre for Economics and Business Research (CEBR) found 60% of mothers with children under 18 do not have access to flexible working. 64% of returning mothers found that their skills were compromised in some way in order to find a flexible job. 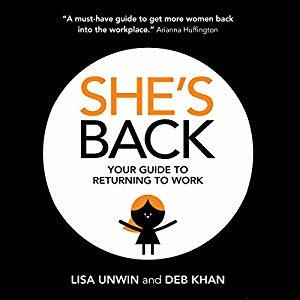 The findings indicate that women are still finding it hard to return to work, and feel unable to progress as a result of career breaks, maternity leave and family commitments. The Women in the Workplace 2016 study looked even more in depth into women’s career development and presence in the workplace in corporate America, finding that women are still falling behind men on the corporate ladder, with companies struggling to put their commitment to gender equality into practice for a number of reasons, including concerns about positive discrimination. And where flexible working programmes are offered to parents, it was found that 61% of employees worry that working part-time will hurt their career, with 42% believing taking a leave of absence or sabbatical will do the same. Why should so many women have to compromise their experience and skillset in order to find work that suits them? Why are employers and managers stretching every hour given, instead of calling on the expertise and skills they need when they need them? Why are there pools of latent talent still being left untapped? These are the questions we still find ourselves asking of the legal sector, and indeed many other industries beyond. What happens when we increase the opportunities for people to work flexibly and remotely, when different life stages mean that they cannot be tied to the office and commute from dawn to dusk? It’s not a stretch to say that productivity is boosted and everyone’s work life balance stands to improve. The real, tangible benefits of flexible working and of changing traditional approaches to legal consultancy can be seen every day at Obelisk. From talent reactivated after a lengthy career break, to those changing to freelance remote work as life priorities change, the talent and expertise is there ready and waiting for the opportunity to take on new challenges, to find work that fits with their lives and fulfils their sense of purpose. The CEBR also calculated that widespread access to flexible working could add 66 million hours more work per week, with an economic output boost to the UK of approximately £62.5 billion. But the benefits go even further than economic gain. It is not sustainable for business owners to be pulled on all directions when they need the time and headspace to create, shape and grow their business. Nor is it sustainable for employees who will not feel valued or incentivised by restrictive and lengthy hours expected of them, when there are people with the knowledge and talent available. Allowing people the time to concentrate their efforts on their core responsibilities and the bigger picture of their business, rather than fighting daily fires such as contract resolutions and other areas of time draining micro-management can change our overworking, long-office-hours culture for good, for the benefit of everyone’s wellbeing and personal growth, as well as the growth of the economy as a whole. It’s time we all asked ourselves: What would we do with #MyMillionHours?